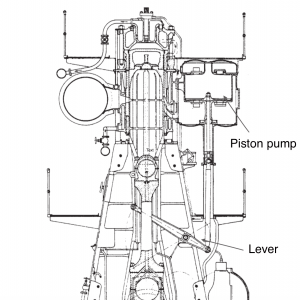 Diesel engine for propelling ships came in to picture in the early 19th century. They not only helped to reduce the heat losses (steam engines) from engines but also to increase the speed and fuel efficiency of the ships. For efficiently burning diesel fuel in the engines, it is imperative that sufficient air is supplied at every cycle inside the cylinders. To achieve this, a variety of methods were adopted for supplying fresh air to burn the fuel and to produce the required power within all cylinders of the engine. 3. 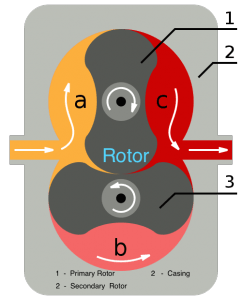 Root type blower pump: It was followed by use of Attached root type blower pump having two lobe type rotors supplying fresh air to the engine. 4. Electric motor driven blower: Electric motor driven blower for engines, which are used till now to provide initial charging air during the start of the engine, were then used. 5. 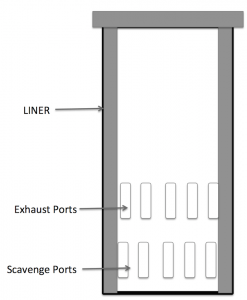 Scavenge ports: Scavenge ports provided in the cylinder liners are widely used in old marine engines to charge the combustion chamber with fresh air when piston is in its downward motion. 7.Two-stroke turbocharger: Two-stroke engine turbocharging is achieved by two distinct methods, respectively termed as the ‘constant pressure’ and ‘pulse’ systems. It is the constant pressure system that is now used by all low speed two- stroke engines. 8. 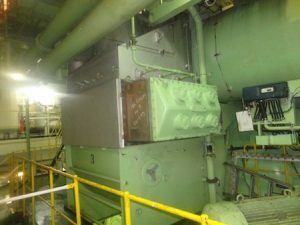 Scavenge air coolers: With the increase in demand of power for marine engine, it became important to control the temperature of the combustion chamber and hence scavenge air coolers were placed in between the turbocharger and engine cylinder. 9.Variable geometry turbine: Variable geometry turbine (VTA) is the new age technology which can work at low engine load and eliminate the requirement of additional engine blower from the system. The VTA provided with movable vanes are replaced with conventional fixed vanes, which can change angles to control the exhaust flow on the turbine blades. This helps the engine control to balance the volume of air with the fuel along the entire engine load range. 10. 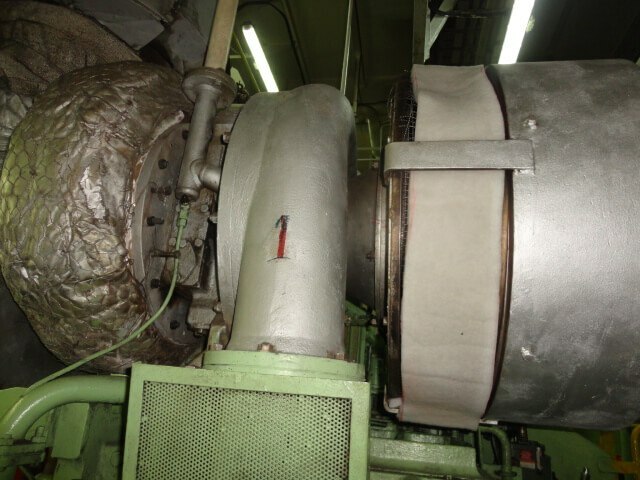 Dual or Two stage turbocharger: In today’s time, the ship owners have to ensure that the pollution produced by ship’s engine is under control. One such turbocharging system used for this purpose is the Dual or Two stage turbocharger, which reduces the harmful NOx emissions from the engine by 80%. 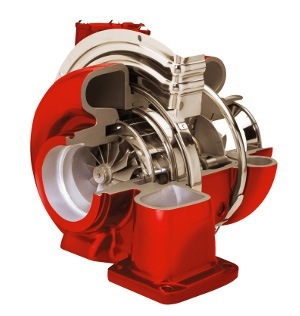 There are two different sizes of turbo chargers arranged in series which provides higher pressure ration than that provided by the best available single stage Turbo charger. The turbine from the smaller turbo charger unit is positioned upstream of the turbine of the larger unit from the engine exhaust flow system. 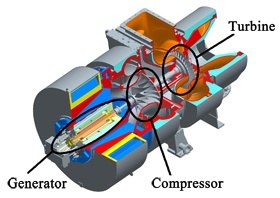 For air side, bigger turbocharger compressor is fed into the smaller unit’s compressor. Inter cooling system is provided in between the two stages which reduce the temperature and the volume of the outlet air. This allows 2nd unit to be smaller making the whole system compact. 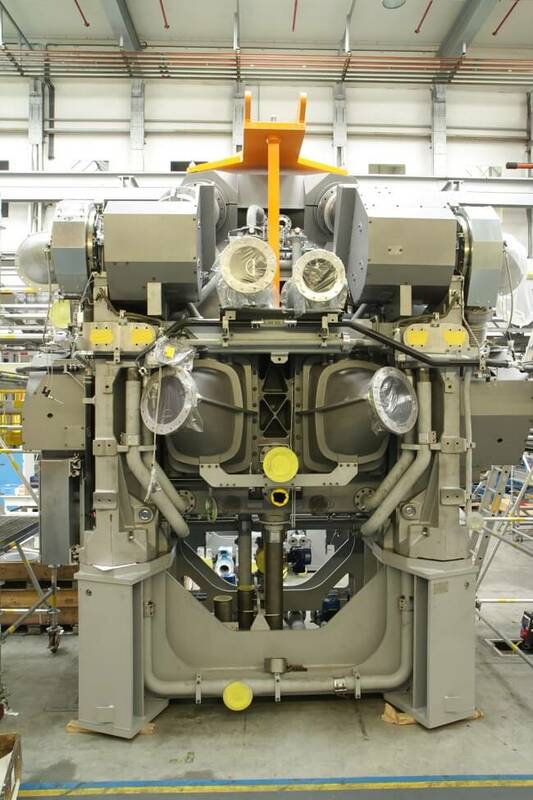 The air charging in modern marine engine is now done by Constant pressure turbocharger or by VTA turbocharger. With more sophisticated system being implemented on the engine, we may see a different breed of these high speed, fuel saving machinery in near future.